Benchmark Insurance Group of Texas is the leading risk management insurance brokerage for businesses of all sizes, with capabilities to provide the industries lowest premiums from top rated insurance companies, first class service and in house claims consulting to provide representation when claims do occur. Our Vision is to provide our clients and partners knowledge by providing tailor made solutions that are designed address everyday business crippling risks. We are more than an insurance broker – we are your risk management partner With a team of 15+ staff in the Houston, Clear Lake, and Austin areas focused solely on refining strategies to provide our clients with affordable insurance rates within 24 hours or less as well as establishing several options that pinpoints the unique insurance challenges that business owners and professionals face. Our program is designed to provide business owners with “ease-of-use”, appropriate coverages, and fair, stable rates. As an independent agency, Benchmark Brokers works with numerous insurance companies to bring you the best prices on the best policies. Sometimes insurance rates do go up. As an independent agency, Benchmark keeps an eye on your rates and will suggest new coverage to keep you within your budget. If you want an agency who is on your side, and has your best interest at heart, call or email us today for a free no-hassle, no-obligation quote. We have relationships with dozens of insurance companies, allowing you to get the right price with the right service. Whether you have the ideal history, preferred companies desire, or a not so perfect history, we find the right coverage, with the best company, at the best price for you. As an independent insurance agency, we can offer the right coverages with the personal touch you would expect from your neighborhood insurance agent. We asked our clients and business partners why they do business with us. The answer – our expertise and problem-solving skills were among the top responses. We would love the opportunity to problem-solve for you. Creative Solutions Experience and perspective count when it comes to managing your risk. Your company faces certain risks, some of which are unique. You deserve a trusted, consultative advisor who will actively listen to and understand your concerns. Your Benchmark advisor will match and adapt risk management strategies to your situation through a total cost of risk approach. You benefit from having a partner who will seek to truly understand your business and then collaboratively develop a plan to reduce both direct and indirect costs. You need an advisor who understands how important the total cost of risk can be to your success. That is why we use our knowledge of your business, our expert advisors, and strong insurance company representation to develop the risk management strategy that fits your business and safeguards your bottom line. You are involved in all key relationships that affect the terms of your policy, with the underwriter relationship being a key, but often overlooked. Dedicated service team that is mature and experienced, including extensive backgrounds in serving the unique needs and expectations of private clients. Experience and technical expertise working with business owners, principals, executive managers, and successful families. Customized risk management perspective in identifying loss exposures and developing tailored solutions to maximize coverage and cost efficiency. Working proactively with our clients, we are able to anticipate and respond to the demands of an ever-changing and often combustible business environment. We recognize that every organization is different. We also recognize that many brokers or consultants fail to acknowledge these differences by making generic assumptions about the services your company will need and actually use. In contrast to this generalized approach, Benchmark Broker has created a unique partnership assessment tool designed specifically for our clients. The assessment is constructed to provide you with an unbiased, comprehensive analysis of your facilities, staff, culture, current program and the options that are available to you. This process is conducted on-site by our team of specialists, free of charge, and is used to identify, understand and evaluate every aspect of your organization, its strengths and its potential weaknesses. In final form, the assessment provides our team with the knowledge necessary to make qualified recommendations regarding your employee benefits, wellness and risk management programs. Far from being a gimmick, our record proves that this refined approach leads to enhanced program design, reduced premiums and satisfied clients. Our agency will run a full insurance analysis to meet client demands and insurance needs. We shop over 50 A-rated companies. Let us find you the lowest personal or commercial insurance rate. We run a comprehensive risk analysis comparison with optimal saving methods. The Benchmark Broker's negotiation experts aggressively leveraging for the best rates every year. 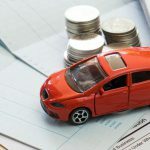 What Is the Texas Minimum Car Insurance Requirement? – Is It Enough? 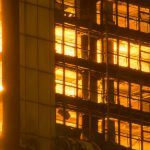 What is Fire Legal Liability and What Does it Cover?